Four militants and a soldier were killed in an overnight encounter in Handwara area of north Kashmir's Kupwara district, police said today. 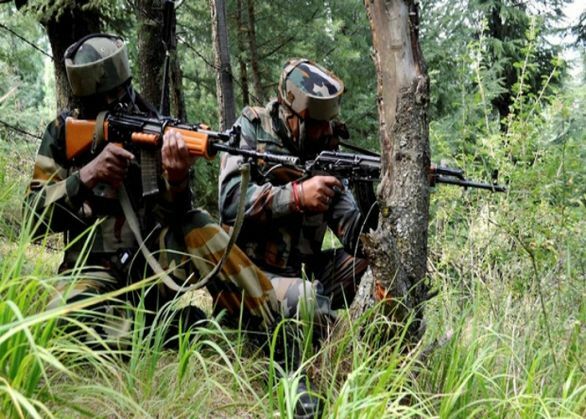 Security forces launched an anti-insurgency operation last night following information about presence of militants in the forest area of Sochalyari in Handwara area, around 95 kms from here, a police official said. In the ensuing gunfight, four unidentified militants were killed. An Army jawan of 9 Para was also killed in the operation, which concluded in the wee hours today, the official said. He also stated that the identity and group affiliation of the slain militants was being ascertained. This is second success for the security forces against militants in north Kashmir in the past 24 hours. A top militant of Lashkar-e-Islam, a splinter group of Hizbul Mujahideen was killed in an encounter in Rafiabad area of Baramulla district yesterday. One soldier was also killed in that operation.